Lord Lichfield stretched beyond his privileged upbringing to become a world-renowned photographer. He first used a camera at the age of seven, taking pictures of his family, pets and scenes at his beloved home, the stately Shugborough Hall in Staffordshire. He attended Harrow School, and took his first pictures of the Queen as he played cricket against Eton. While his upbringing was aristocratic, Lichfield's great passion for photography carried him far beyond any blue-blooded barriers, and through an extremely successful 40-year career. The son of Viscount Anson and Princess Anne of Denmark, Patrick Lichfield - the 5th Earl of Lichfield - was the Queen's first cousin once removed. He made his break into photography in 1962, after leaving the Grenadier Guards. Starting out as a photographer's assistant on £3 a week, he made the most of his showbusiness and aristocratic connections, snapping everybody from Mick and Bianca Jagger on their wedding day to the Duke and Duchess of Windsor in exile. 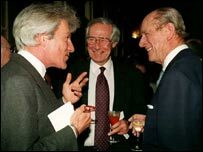 Lichfield's memory of the latter encounter was of deliberately falling off his chair to force smiles out of his straight-faced subjects. The result got him a contract with Vogue magazine. He also worked for a range of other newspapers and magazines, including Life. One of his most iconic images, which he recently recreated, was the naked pose of the singer Marsha Hunt, complete with a huge afro hairdo for the musical Hair. Another was Swinging London, which featured Roman Polanski, David Hockney and Lady Antonia Fraser. Other famous subjects included Michael Caine, Joanna Lumley and a host of 1960s glitterati. His long career was celebrated two years ago with an exhibition at the National Portrait Gallery, and he was awarded fellowships of both the British Institute of Professional Photographers and the Royal Photographic Society. Most recently, he took a special set of pictures of Baroness Thatcher to mark her 80th birthday. His position and profession came together most famously in July 1981, when he took the official wedding photographs of the Prince and Princess of Wales, before sitting down to the wedding feast with hundreds of other royals. From his studio in north Kensington, Lichfield became renowned the world over for his skill with the lens, and personally admired for his straightforward manner. Although he was one the official photographers of the Queen's Golden Jubilee, he liked being addressed as plain Patrick Lichfield and was at his happiest poring over shots in his studio. A self-professed "spiv" and admirer of feminine beauty, one of Lichfield's favourite commissions was the famous Unipart calendar, shot in glamorous locations all over the world with an emphasis on stunning models. Lichfield admitted to having relationships with many of his pretty subjects but, away from the camera, he found companionship in his own well-bred circle. He was married for 11 years to Lady Leonora Grosvenor, sister of the Duke of Westminster, with whom he had three children. His most recent partner was the biographer, Lady Annunziata Asquith. 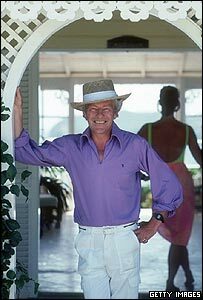 Like the late Princess Margaret, he often took refuge on the Caribbean island of Mustique. It was at his holiday home there in 1992 that he suffered a very bad fall, from which he had difficulty recovering. Despite this, he continued to work throughout his life, becoming a champion of the digital revolution, and attending to the photography that he described as his "calling". As he got older, Lord Lichfield reflected on his legacy, wondering what he would leave behind. Acknowledging his pedigree, he was delighted that Shugborough was smaller but better managed. But he always added: "There are the pictures."